In the past, most of the group’s songs consisted of minimal production and emphasized the raw sound of acoustic guitar, drums, bass and occasional trumpet. The Front Bottoms’ change of tone in their latest album may come as a shock to those who are familiar with the band, but that is not to say that the band has changed for the worse. In fact, the band has evolved into something greater by expanding their arsenal of instruments with the addition of piano and synthesizer, adding effects to their vocals and increasing the quality of their production. 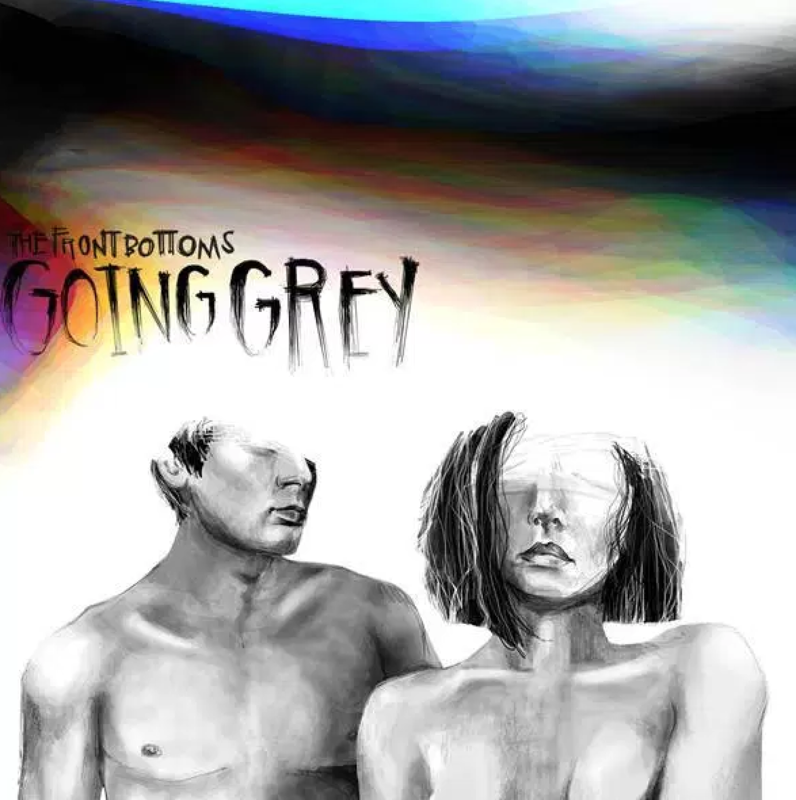 “Going Grey” immediately introduces the band’s new sound with the heavily synthesized instrumental on the opening track “You Used to Say (Holy F*ck).” The Front Bottoms signed to the record label Fueled by Ramen in 2015, and since their induction there has been a noticeable change in the band’s overall sound, presumably from influence from the label. The Front Bottoms have found their balance between punk and pop through the process of making this album. Over the span of 11 tracks, the band manages to include the kind of acoustic rock songs that first album fans will appreciate, while also providing tasteful alternative tracks that will help the band acquire a more diverse audience. The singles of “Going Grey” scream, “We’re back!” as the band seeks to regain the love from fans that may have lost interest in the group after the release of their previous album, which was generally considered to sound too much like pop. The second single, “Vacation Town,” is more stimulating and features a beautiful trumpet line and a reminiscing story that anyone can relate to with lines like, “I miss the way things used to be.” The song has an incredible energy that makes listeners feel like they are in a crowd of bouncing fans at a Front Bottoms concert. The band ventures from their original sound and gets experimental with the track titled “Trampoline,” which is a notable highlight of the album. The song opens with an unfamiliar synthesizer melody that would not be found in any of their previous albums. The band took a risk releasing a song that has more of a dance and funk feel than anything they have released before, but this experimentation was successful. This track proves that the band can create catchy songs with a variety of instruments, covering the span of several genres. With such a strong track list, the only song on the album that falls short is “Everyone but You.” The song feels thrown together with a basic rock backing track and an underwhelming humming melody. Most of The Front Bottoms’ songs that fall flat musically are redeemed by Sella’s lyrics and unique storytelling, but lyrics like “Can’t get happy, can’t get sad,” cannot save this forgettable track. The Front Bottoms’ core members Sella and Mathew Uychich have both grown as musicians since their previous album. With the band originating as an excuse for these childhood friends to get together and have some fun, The Front Bottoms may have suffered from lack of professional music training in creating their first handful of extended plays and full length albums. Sella’s vocals sound more melodic and controlled in “Going Grey” than in any of their previous albums, and Uychich has only become more skilled in his drumming. In the past, The Front Bottoms may have been a quirky band that could only capture a cult fan base, but today the band has evolved their style into music that can be enjoyed by a broader audience. Their singing and instrumentation is sharpened, their songwriting is more cohesive and their style is more solidified. “Going Grey” is the groups best album to date, and with the band members having found their sound, even better albums can be expected in the future.